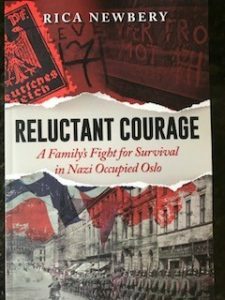 Although my novel is fiction, it is inspired by real stories told by my mother, Brit Maja Holmsen, who was 8 years old when the Nazis marched into Oslo. Real events and situations experienced by Norwegians are woven into the story. Resistance fighters risked death every day with hidden radios and distribution of leaflets. Red hats became a symbol of the resistance and were banned by the Nazis. Teachers and Church leaders refused to propagate Nazi ideology, and teachers were arrested en masse, only to return later as no-one would fill their roles. Underground papers printed cartoons mocking the Nazis and graffiti abounded. Five hundred and thirty-two Jews were arrested by Norwegian police and handed over to the Gestapo at Pier 1 in Oslo Harbour. They were sent to Auschwitz via the famous SS Donau on 26th November 1942. I am a retired psychiatrist, living with my husband in Bristol. 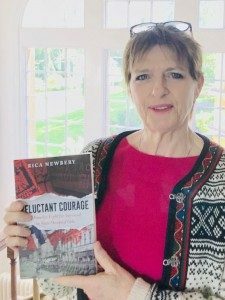 After completing an Open University course in Creative Writing, I wrote my first novel Reluctant Courage. 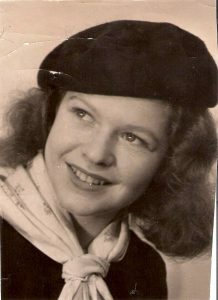 I am now writing a novel about a young woman experiencing the trauma of a psychiatric admission in Bristol in 1957.